EVANSTON, Ill. --- Northwestern University will receive a $40 million unrestricted gift from alumni Mark and Kimbra Walter. The University intends to use the gift to fund initiatives pertaining to We Will. The Campaign for Northwestern, including significant support for Northwestern Athletics and Recreation, as well as scholarships for the School of Law. 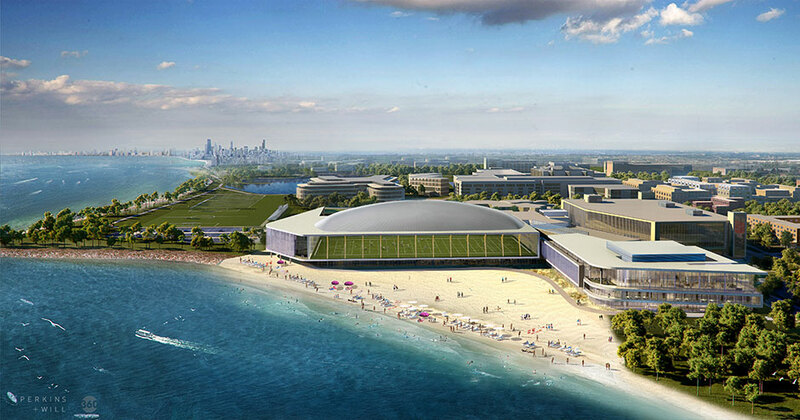 Among the Campaign initiatives is a new lakefront athletics and recreation complex, which will be located on the north end of Northwestern’s Evanston campus. A training center that will serve as the home for Northwestern Athletics’ administrative offices and become the hub of Northwestern’s intercollegiate athletics operation. This center will enable Northwestern to maintain diverse, high quality athletics programs for the student-athletes participating on the 19 varsity women’s and men’s teams, and also expand dramatically the space dedicated to academic support, sports medicine, nutrition services and sports performance opportunities. Students who proudly represent the University will now have access to Ryan Fieldhouse, a multi-purpose facility seating hundreds of spectators. The facility will bring together students from across campus for non-sporting events, as well as provide space for soccer and lacrosse competitions, varsity athletics practice and intramural and club sports activities. Wilson Field, an indoor practice and competition surface within Ryan Fieldhouse, will be one of the largest of its kind, affording maximum flexibility and broad use for intercollegiate, intramural and club teams alike. Lanny and Sharon Martin Stadium, which will house the soccer and lacrosse teams, will be significantly renovated to provide a superior training and competition venue for student-athletes and an upgraded experience for fans. Additions to the Norris Aquatics Center include a dedicated diving well, varsity locker rooms, and support spaces critical to training and competition. Other outdoor venues will also be transformed. Field hockey will receive a dramatic makeover, and a new outdoor varsity practice field will provide the football program the opportunity to practice indoors, at Ryan Fieldhouse, as well as outside on the shores of Lake Michigan. The Henry Crown Sports Pavilion renovation will feature an additional basketball court, new locker rooms, and space for aerobics, yoga and other exercise classes. The entire complex also will provide venues for intramural and club sports, campus recreational activities and a suitable gathering space for large University events such as Dance Marathon and the new student convocation. The Walters’ gift also will be used by the University to support scholarships at the School of Law. Both scholarships and athletics and recreation will play important roles in the implementation of Northwestern’s strategic plan, which aims to build a diverse, inclusive community and provide an exceptional educational experience regardless of students’ financial resources. Mark Walter, who received a J.D. from Northwestern in 1985, is a founder of and chief executive officer of Guggenheim Capital, LLC, a privately held, diversified financial services firm with more than $200 billion in assets under management with headquarters in New York and Chicago. He is also controlling owner and chairman of the Los Angeles Dodgers Major League Baseball franchise. Walter serves as a trustee or director of several nonprofit organizations, including the Solomon R. Guggenheim Foundation, and he is a major shareholder of several commercial enterprises. Kimbra Walter, also an attorney, received a bachelor’s degree in economics from Northwestern in 1985. She serves as a member of the Board of Trustees of the Lincoln Park Zoo, OneGoal and the Goodman Theatre. Her father and brother are also Northwestern graduates. The Walters have been consistent annual donors to Northwestern for many years. Mark’s first gift was $100 in 1986, right after he graduated from Northwestern Law. The Walters’ gift is part of the University’s current $3.75 billion fundraising campaign that will support the initiatives of its strategic plan. Alumni and friends have provided significant support for a range of programs as part of We Will. The Campaign for Northwestern. More information on We Will. The Campaign for Northwestern is available at wewill.northwestern.edu. Further details on the athletics and recreation initiatives can be found at SupportTheCats.com. Information on law school initiatives is on law.northwestern.edu/campaign.